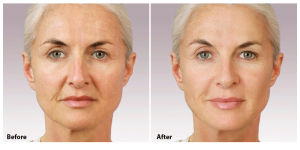 Consider your options if you require cosmetic facial surgery in SF. Many people in the Bay Area require some form of facial surgery. This may be something as simple as a facelift in order to keep that youthful appearance, or it could be as the result of an accident resulting in facial trauma. There are several maxillofacial surgeons in the Bay Area, but few have the amazing skills, years of training, and experience as Dr Alex Rabinovich. He began his medical training at Columbia University School of Dental and Oral Surgery in New York where he graduated with his DDS degree. Following this, he attended the State University of New York, Downstate School of Medicine, obtaining his MD. After this he went to Kings County Hospital where he undertook a residency in General Surgery and Maxillofacial Surgery. Here he developed a special interest in facial cosmetic surgery and was invited to take a Fellowship at Georgetown University / Posnick Center for Facial Plastic Surgery. During his time here he worked with some of the world’s leading surgeons in the field of facial plastic surgery, occuloplastic surgery and craniofacial surgery from Georgetown and Johns Hopkins Universities. Today, Dr Rabinovich is one of the very top maxillofacial surgeons in the Bay Area. His skills are renowned throughout the medical profession and he is the author of several medical publications. In addition he is frequently sought after to speak at dental and medical conventions. Any patient who has suffered facial trauma will also suffer from the side effects of emotional damage which affects the overall quality of life. Dr Rabinovich is only too aware of the emotional and mental problems involved and his objective is always to repair the physical damage and at the same time restore the highest quality of life. Facial surgery following trauma is different for every patient, and Dr Rabinovich works with each patient on an individual basis in order to determine the options for the best possible outcome. The most immediate requirement is to deal with any life-threatening issues as soon after the trauma as possible. The latest advances have made it possible for maxillofacial surgeons in the Bay Area like Dr Rabinovich in many cases to be able to achieve the goal of restoring the face to as near possible its’ original condition in a single immediate operation. In the case of facial trauma surgery, insurance should not be an issue. However, in the case of cosmetic surgery it may be that you consider it will not be covered by insurance. This is not always the case. After a consultation with Dr Rabinovich he may establish that the procedure you require is not truly cosmetic. It is possible that some facial surgery may be covered in some cases. Dr Rabinovich offers a totally free consult, so make an appointment with him to discuss your needs by calling 415-817-9991 or click on the Contact Us link at the top of the page.